THE MOUNTAINS OF CONISTON, LANGDALE, &c. as they appear from the road between Troutbeck Bridge and Bowness. 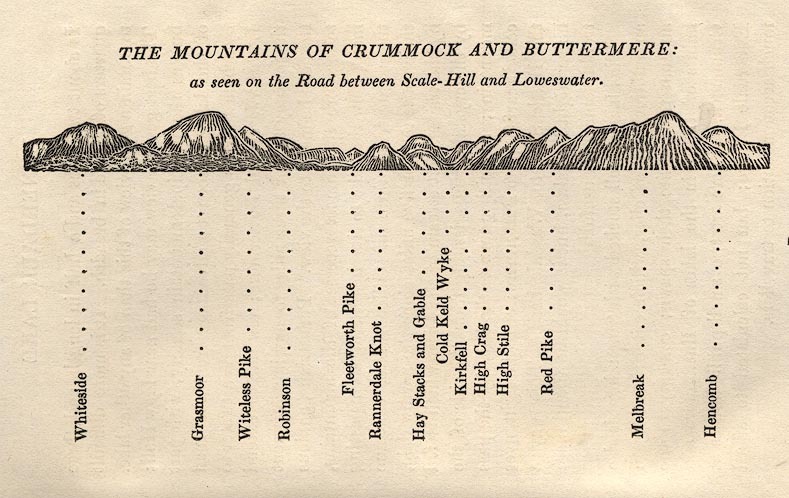 THE MOUNTAINS OF CRUMMOCK AND BUTTERMERE: as seen on the Road between Scale-Hill and Loweswater. THE MOUNTAINS OF ENNERDALE: as seen from Kirkland. THE MOUNTAINS OF WAST WATER: as seen from Nether Wasdale. A GROUP OF MOUNTAINS, Seen from Helvellyn, looking to the South-West.